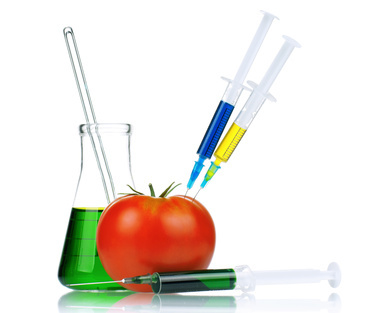 Are Genetically Modified Foods Killing Us? Genetically Modified foods are disturbingly commonplace – and we don’t always know when we’re eating them. With so many dangerous side effects observed in GM foods, and with insufficient testing of the long-term impact of these artificial foods, can we be sure that GM foods are safe? Ever since the agrochemical tomato called flavour saver was deemed fit for human consumption in 1994 there has been a surge of GMO foods onto our supermarket shelves and unlike Europe there is no mandate in the U.S for food companies to label products that are what are knows as genetically modified organisms. Rice, Corn, Peas, Soy, Potatoes, Squash, zucchini, Salmon and milk, all of these foods sit innocently on our shelves next to their organic counterparts, they look the same, smell the same and even taste the same, but 60% of the food we eat everyday has a potentially dangerous secret lurking in its DNA, growth defects, infertility, disease and allergies have all been linked to the creation and consumption of genetically engineered food. But somehow these issues have been swept aside, question we should be asking like where does my food come from and how safe is it have been buried in the booming new GM food industry.